God Is (book review) | Shall we Sing a Song for you? I love Mark Jones. After all, he does say on p. 133 of this book: ‘You must love believers, even those who can be very unloveable’. And I like this book. It’s a take on the attributes of God that shows how each of the attributes is seen most clearly in Jesus. After all, ‘Some even call Christ the ‘stage’ on which God displays his attributes in their harmony for the world to witness’. Each of the 26 short chapters is divided into three sections: the doctrine, how it’s fulfilled in Christ and application. Apart from the Christ-centredness, the second best thing about the book is the liberal dollop of Puritan quotations throughout. Checking out the footnotes will open up a wealth of treasures. In some ways this is a lite version of Charnock’s Existence and Attributes of God – which Jones notes in his introduction ‘requires the sort of time and effort that very few have’. At the same time however, this is still a book which seems to be aimed at ministers and (third-level educated) theologically-informed laymen. 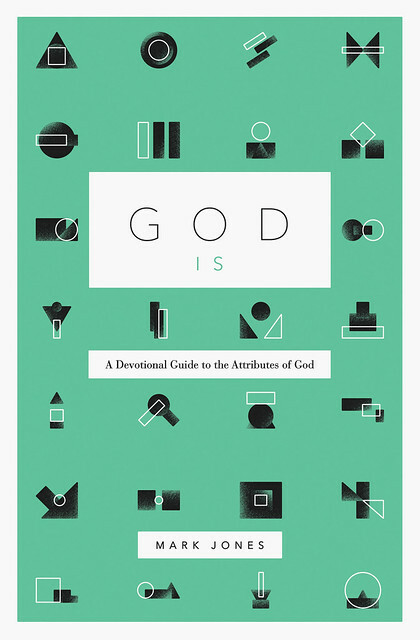 A Christ-centred book on the attributes of God with short chapters that could be handed out to an average congregation would be great – but this isn’t that. Jones being Jones, he can’t resist a pop at exclusive psalmody, even when advocating psalm singing. He calls it a ‘crime’ – but seeing it’s a ‘crime’ that most of the Puritans he quotes would have been guilty of, those who still hold to the Westminster Confession’s position on worship won’t lose too much sleep over it. There are a few other things that may raise an eyebrow. Jones says we should ‘envy’ God’s attributes. He repeats an argument on which he’s been critiqued before, namely that ‘God’s great end is the glory of his Son’. He also raises controversial questions when there’s no need, eg Was God gracious to Jesus? Could God have forgiven sins apart from Christ? Overall this is a great book. The short chapters mean it could be used as a pump-primer before your devotions. It’s one I can see myself coming back to if I’m looking for a succinct, theologically precise, Christ-centred treatment of an attribute of God. I haven’t (yet) read Charnock, but I’ve now read God Is, which is another indication that the book has achieved what it set out to do. This entry was posted in General and tagged Book Reviews.